Scorpio, the horoscope predicts a rich harvest and positive light that shines through the whole 2017 as a strong golden thread. The luck will certainly not miss you. But you do not have to compare yourself with others so much. Try to be better each day than you were yesterday. Those who watch TV excessively could easily get a false impression of inferiority – you are not as skinny as Barbie or you do not swim as fast as Michael Phelps? You should know that it does not matter at all! The first example is a fictional plastic being and the other is with a little exaggeration a bit “invalid” because his non-standard body (hyper-flexible joints, extra large palms and feet, short legs, lung capacity etc.) allows him to swim faster than the rest of us, but such “built” is far from the common average. And this also raises the question what difficult situations may such body bring to its owner in more distant future. But back to the Scorpio. You are actually a human being of flesh and blood, who faces every day on the unprincipled behavior of others or on the unnecessary risk-taking. Many people around you focus only on short-term profits or on the ability to show off. But such form of the world resembles a hummingbird – it is beautiful when sucking the nectar from deep flowers that other birds cannot reach in flight. But try to injure its wing – only slightly – and you will see that it is the end of such fragile perfection and beauty. Thus the horoscope for 2017 advises Scorpio: focus on the essence of your sign and that is undoubtedly poikilotherm (the cold blooded creature). When you cut off a salamander's tail or leg, surprisingly they will grow a completely new one in a short time. Scorpio is not the salamander but it is certainly closer to its durable life than to the life of a vulnerable hummingbird. Therefore think especially how resilient you can be in today's challenging world if you resonate with the essence of your zodiac sign. Simply do not try to be what you do not want to be (do not eat meat, if you do not like its taste, do not disturb the lives of others, if you do not feel as a responsible leader, do not work at night, if you observe that sleep has a greater benefit for you). Scorpio, in 2017 your emotional life can not do without a new spark. But if you only sit in a comfortable chair and look here and there at your wristwatch, you'll hardly get such a moment. The horoscope stimulates your curiosity and courage and the key to love are the challenging conditions that can stimulate your imagination. Thus in search of true emotions it will be better to set out on a difficult journey to the North Pole rather than to the comfortably warm sea in the south. As you know from the fairytale: when your future love finds a thorn and falls asleep (or is stranded in a snowdrift on the North Pole as we have mentioned above), this kind of situation will be crucial to discover the right way to your prospective partner's heart. 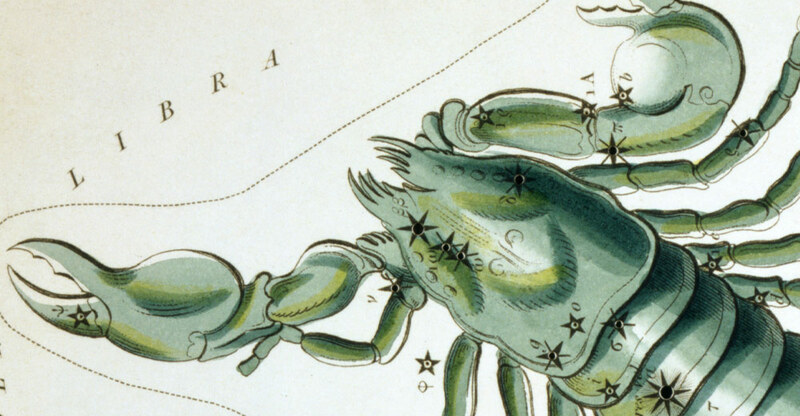 This year Scorpios will be attracted to places where something is happening. The 2017 horoscope predicts, more than work in seclusion you will appreciate the bustle of a larger city, where stars rise fast one after another (it can be show business, athletes, but also technological patents, or whatever exceptional). The more remarkable person or solution, the more attention it will receive from you. In some cases, you will not only experience the desire to come closer to something so precious, odd or mad, but you will also start to feel the ambition to became such a star yourself. Whether you want to be another Albert Einstein or Ozzy Osbourne, 2017 will give you a chance to succeed in this unusual effort.